The black and white mixed with the old architecture gives it a hauntingly beautiful flair. very nice photo: captures the mood and both the b&w as well as the architecture give back the feeling of a ‘end of the world’ situation. Curious as why you added grain…. : I do it myself sometimes but want to know why you do it! I am asking about the grain because I changed my mind through the years: started aiming at very polished look, low iso and de-noise filters then moved to more ‘noisy’ style which , to me, give a better feeling of street photography. Keep up the good job Marcus and have fun! Thanks for sharing your thoughts 😊🙏! I love the composition in the shot of the clouds against the water…beautiful Marcus! Thanks, Elizabeth, I wish you a cloudless weekend 🙂 ! 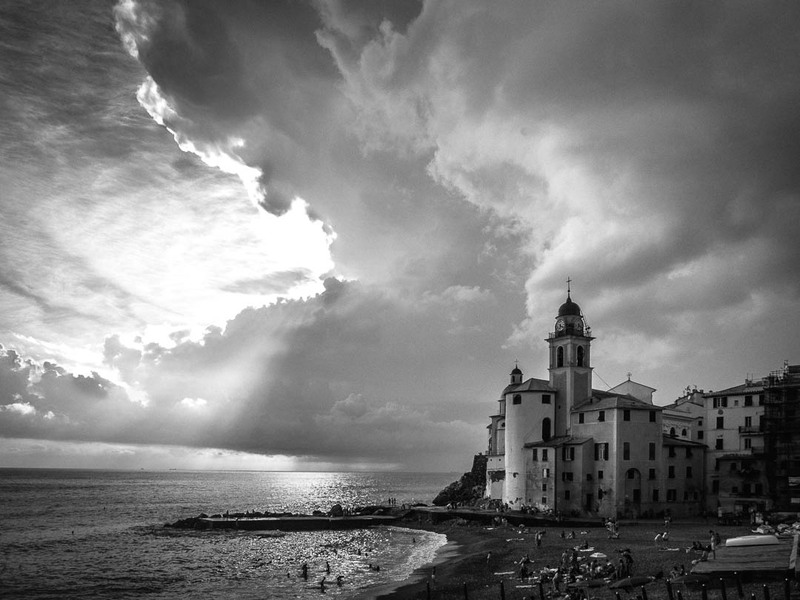 We love Camogli. Certainly understand “The End is Near”.